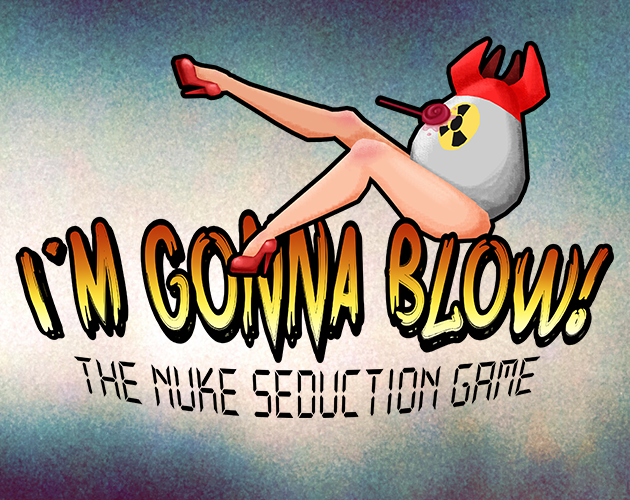 "There's only one way to save the world from a nuclear destruction; seduction!" 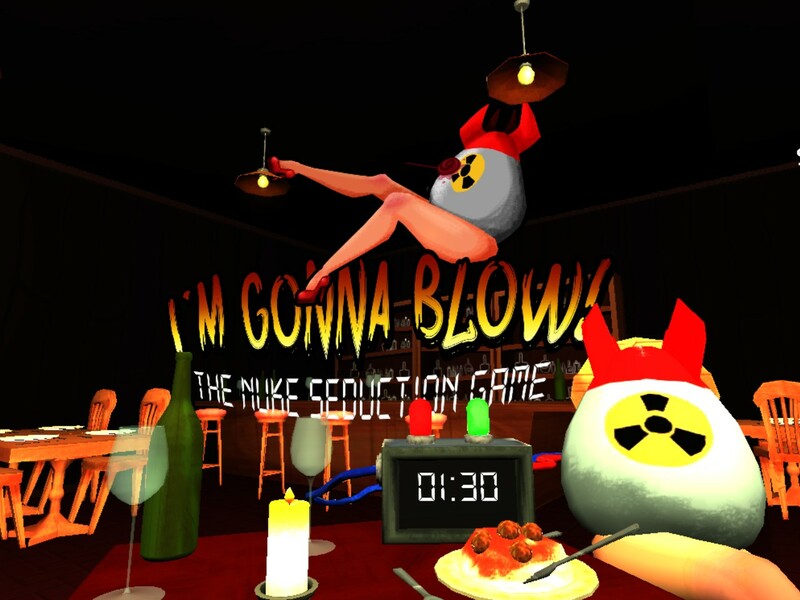 "I'm Gonna Blow: The Nuke Seduction Game" is a VR dating simulator. As a government intelligent it is your duty to disarm a devastating warhead with your natural charm. 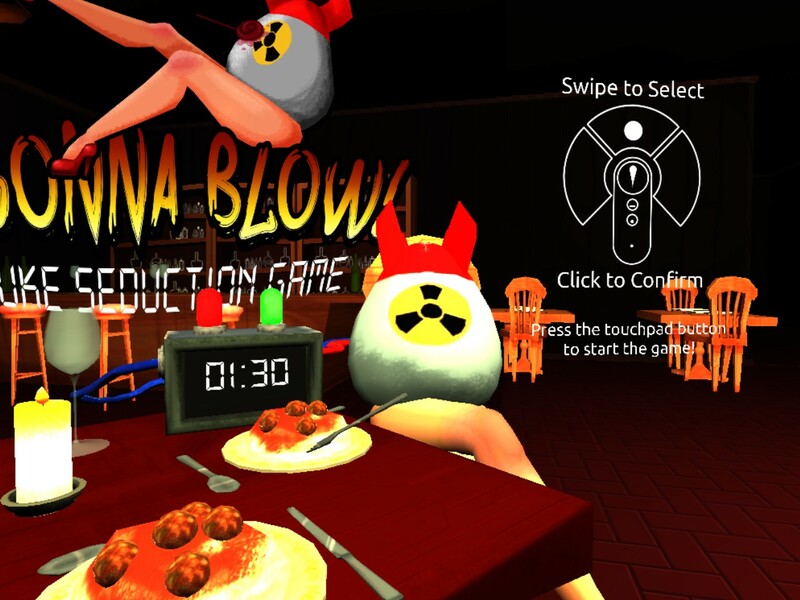 Use your skills of seduction to answer the nuke's questions as you dine in the finest Italian restaurant. 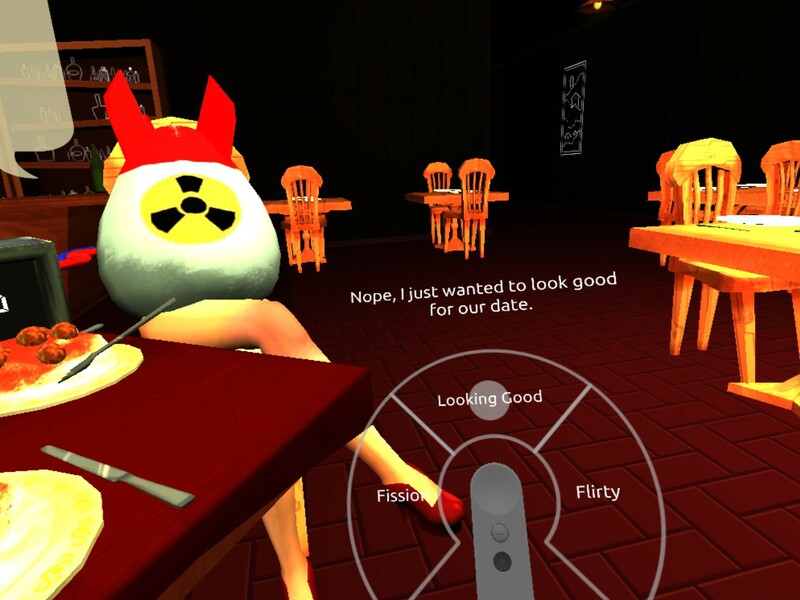 Entice the nuke and gain time on the clock, fail to impress and your time will dwindle. 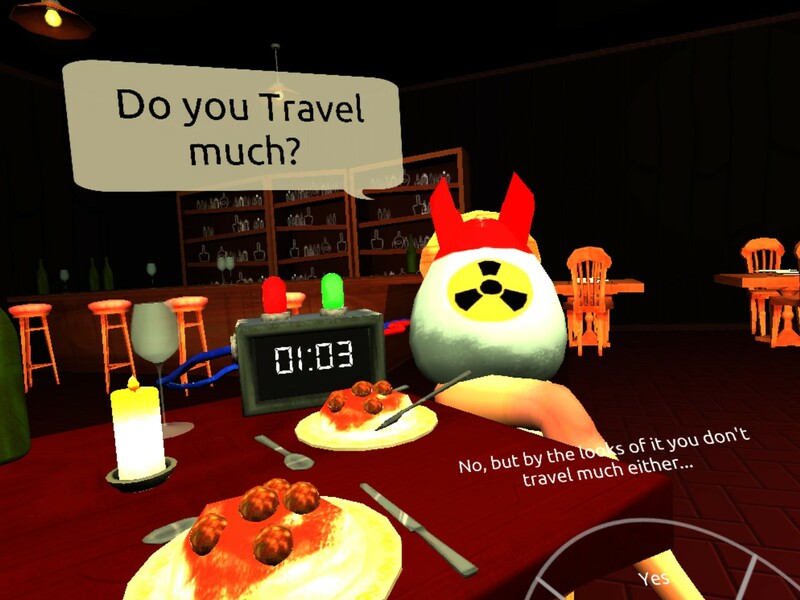 A Google Daydream VR headset, controller and compatible phone are required to run this project. Open the game and play!